This was so easy to make and really was so yummy! I used the same recipe as the chocolate ganache but substituted with white chocolate. Firstly, preheat the oven to 180 C. You will need two 19 cm round spring form cake tins. Line the bases with parchment paper, then butter and flour the pans. Measure out your dry ingredients (flour, caster sugar, cocoa powder, baking soda, baking powder and salt) and sift into the bowl of your food mixer. Use the paddle attachment. In a separate bowl, whisk the wet ingredients together (buttermilk, oil, eggs, and vanilla). Put your mixer on low speed and slowly add the wet ingredients to the dry. Once combined and with the mixer still on a low speed, add the coffee and stir until just combined. Make sure to scrap out the bottom of your bowl with a spatula to make sure all the ingredients are combined. The batter is a very runny consistency at this stage. Pour the batter between the two tins and bake for 35 – 40 minutes until a skewer comes out clean when inserted into the cake. Once you have removed the cakes from the oven, cool in the tins for around 30 minutes. Turn them out onto a cooling rack and cool completely. Once they have completely cooled, wrap them in cling film and chill for at least 3 hours in the fridge. I allowed them to chill overnight. If you are going to make the mint chocolate mousse, it’s probably to do this the night before as well and allow it to chill in the fridge overnight. If you are short for time, you can chill it for 3 hours in the fridge alternatively. 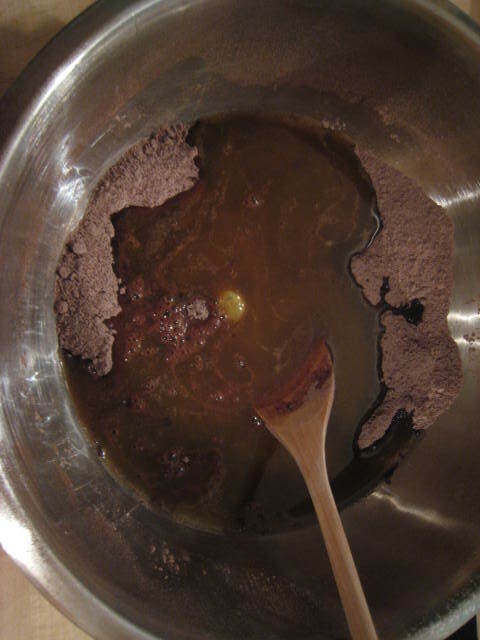 Break the chocolate into small pieces in a large mixing bowl. Meanwhile, slowly bring the cream to a boil in a saucepan. Once it has reached a boil, remove from the heat and allow it to cool slightly for a couple of minutes. Then pour the hot cream over the chocolate and allow to cool for 10 minutes. 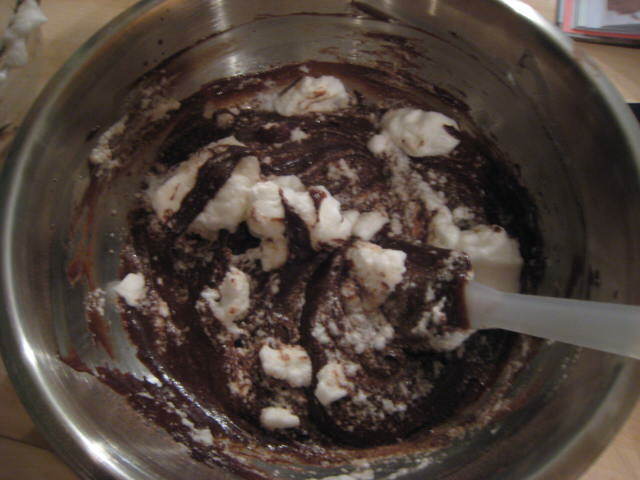 Next, whisk the cream and chocolate together until smooth and allow to cool until it reaches room temperature. 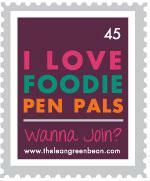 Add in your green food colouring and peppermint essence at this stage. Next, using an electric hand-mixer (or hand whisk if you want to work on your muscles!) beat the mixture until it is shiny and fluffy and holds it’s shape. This can take a couple of minutes. Once you have beaten the mixture until it holds it’s shape, cover the bowl with cling film and allow to chill in the fridge. Next morning, you have a delicious minty mousse. 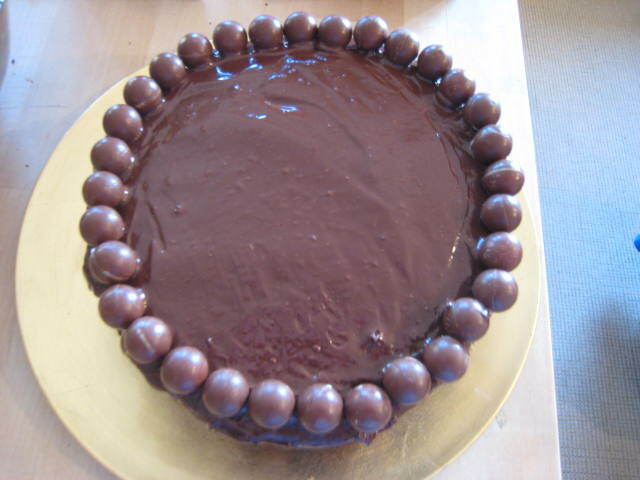 You use the same procedure as above to make the chocolate ganache, without allowing cooling time as the ganache will set quite quickly and you need to work quickly once it’s made to assemble the cake. PS – sorry for the bad quality photos! I had a request for a coffee cake recently. I’m not a big fan of coffee cake myself, so I wanted to make a coffee cake with a twist. 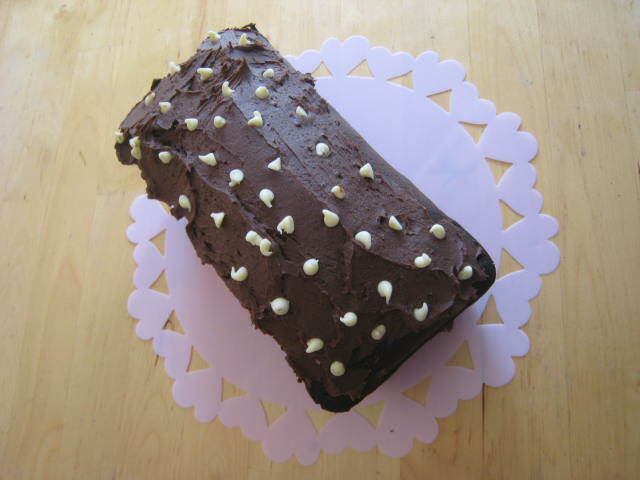 I found this recipe for a Mocha Cake which was really simple to make. 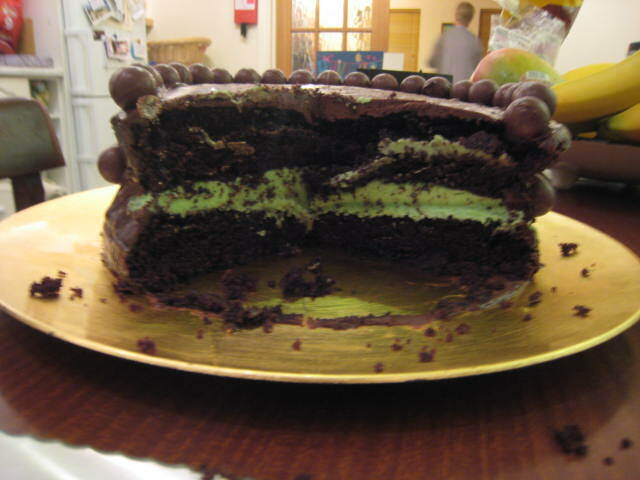 However, there wasn’t so much of a coffee flavour from the cake, my mistake. The recipe calls for very strong coffee, I used three tsps of instant coffee to 60 ml of water, but I think it would need a tsp or two more to bring out that coffee flavour. Preheat oven to 190 deg C. Oil and line a loaf tin (5 x 9in) with parchment paper. 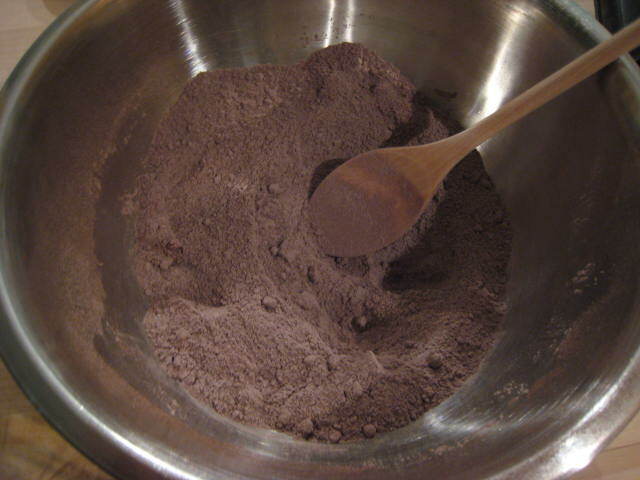 Sift the flour and cocoa powder into a large bowl. Stir in the brown sugar to combine. Using a wooden spoon, beat in the melted butter, egg yolks, coffee and water until smooth. The mixture is not very smooth at this point, because of the sugar, so ensure to beat enough so as there are no lumps. Whisk the egg whites in a large clean bowl until fairly stiff peaks form, then gently fold into the cake mixture in three batches making sure there are no lumps of egg white left. Pour the mixture into the prepared loaf or cake tin and smooth the surface. Give the tin a tap to remove air bubbles. Bake in the oven for 35 mins, then reduce the oven temperature to 160 C for the last 20 mins or until a skewer inserted into the middle comes out clean. Allow the cake to cool in the tin for 10 mins then lift out by the parchment paper (if loaf tin used) onto a wire rack to cool completely. -Place the butter in a large bowl and beat thoroughly with a wooden spoon until it is very soft. 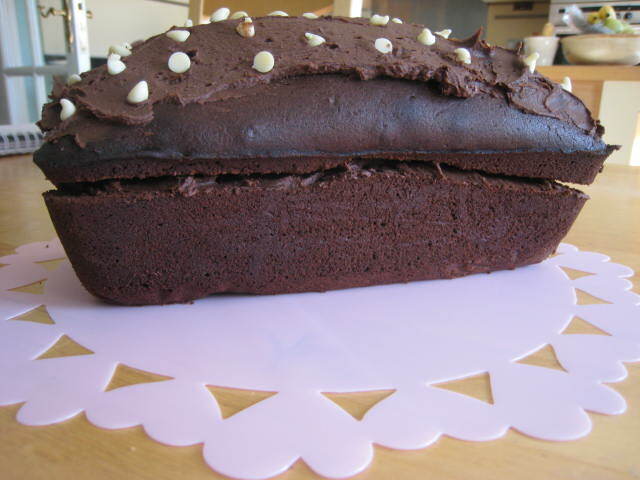 -Add the sifted icing sugar and cocoa powder. Beat slightly, then add the mascarpone. Beat until you have a thick creamy icing. When the cake is cold, remove the parchment paper. Using a bread knife, split the cake horizontally and spread about a third of the icing on the lower half with a butter knife. 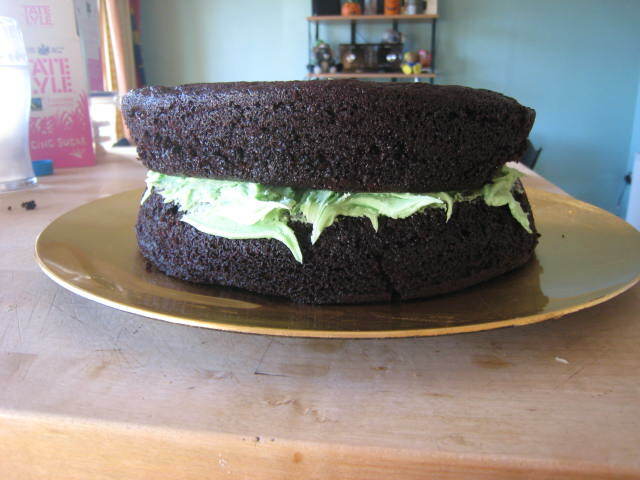 Place the other half of the cake back on the top and spread the rest of the icing over it. Anyone who knows me knows I love lemons. Lemon juice, lemonade, lemon cupcakes…yum. But this is THE best Lemon cake, or rather Lemon Yoghurt Cake recipe ever. Thanks to Ina Garten, the Barefoot Contessa! I do love Ina’s recipes, she makes it so easy, no need for a measuring scales, just your set of measuring spoons and cups and you’re set to go. Last Sunday night, I was due to do a lot of mundane things around the house. Tidy my bedroom. Catch up on washing. Do some ironing. But instead, I got distracted and thought of something better to occupy my time with. Some baking. 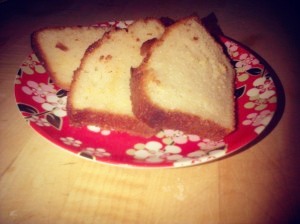 Here’s the recipe for this lemon yoghurt cake. For the diet conscious, a loaf pan should yield around 12 slices, so that’s approximately 290 calories per slice. But I promise you, it’s worth it! For the price conscious, by my calculations, this cake costs a bargain €3.88 to make. Now that beats any shop bought cake! Pre-heat the oven to 180C. 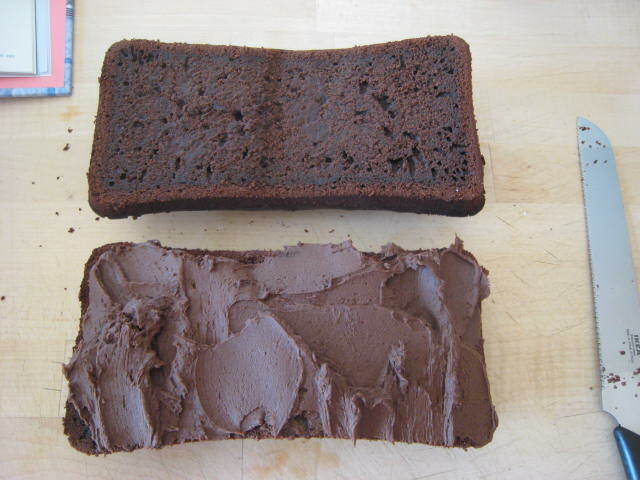 You will need a loaf pan for this recipe. Grease the tin with butter, then line the bottom of the tin with parchment paper. Again, grease the parchment paper and lightly dust the inside of the tin with flour. Sift the flour, baking powder and salt into bowl 1. In bowl 2, whisk the yoghurt, 1 cup sugar, eggs, lemon zest and vanilla together. Slowly and carefully whisk the dry ingredients into the wet ingredients. Fold the vegetable oil into the batter. You need to make sure the oil is well incorporated into the batter at this stage, that there is no excess oil floating on top of the batter. Pour the batter into the loaf tin and bake for about 50 mins. My oven is particularly powerful for some reason – I had to turn temperature down to 170 and it cooked in 40 mins. Test to make sure the cake is cooked. Dip a skewer or the back of a clean knife into the centre of the cake. If it comes out clean, the cake is cooked. 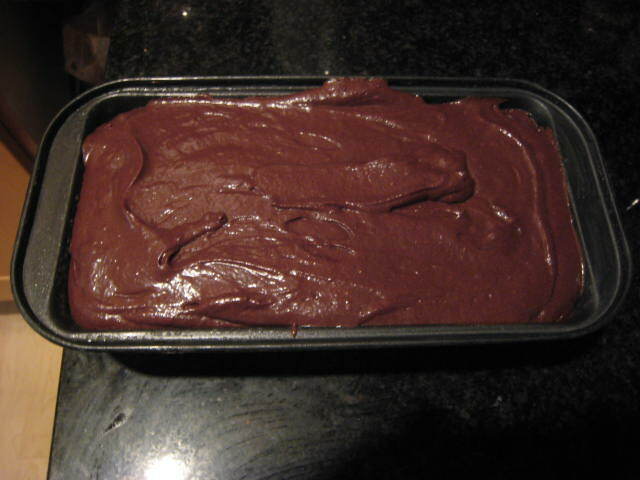 When the cake is done, allow it to cool in the pan for 10 minutes. Carefully place on a baking rack over a baking tray. While the cake is still warm, pour the lemon-sugar mixture over the cake and allow it to soak in. Cool.